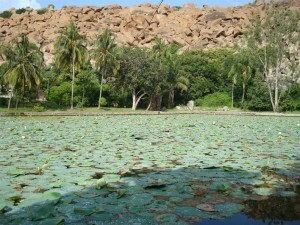 Pampa Sarovar near Anegundi is one of the five sacred lakes in India. It has deep connection to Hindu mythology and Ramayana. 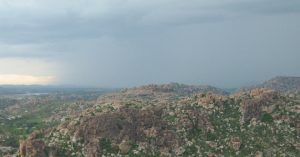 It is a famous tourist spot. 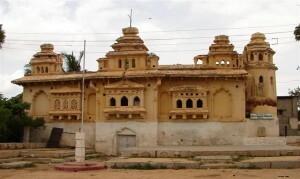 Gagan Mahal in Anegundi is a ruined palace that was once the abode of the rulers of Vijayanagara. The palace is the office of local administration now.